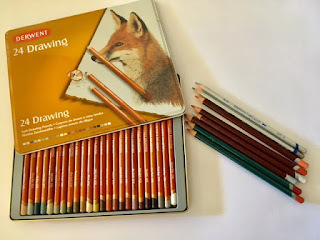 Ladybird's Flight: Pencils, pencils and more pencils! I needed pencils to do my 'Botanical' gumnut drawing. Thank goodness for Eckersley's Art & Craft store and their wonderful staff. I am now ready to get colouring in my illustration!